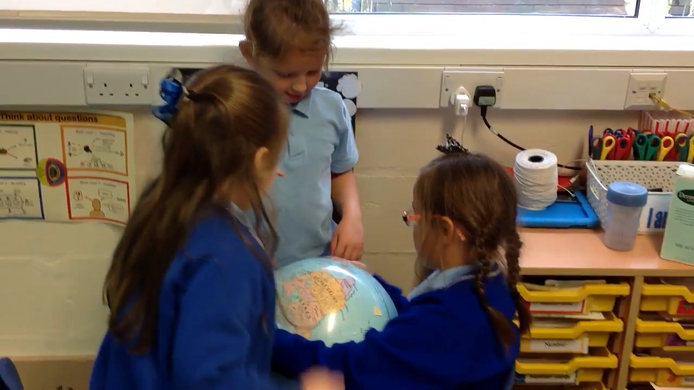 Year 1 using maps to navigate playground locations. Adam used the globe during guided reading to find places in his book! 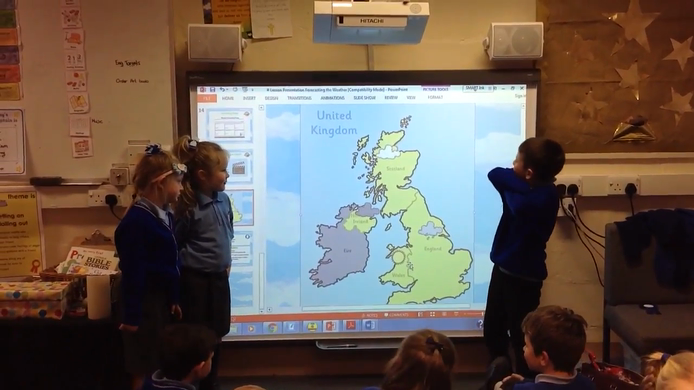 Weather report from Class 1! Our Geography display. Where is Barnaby this week?